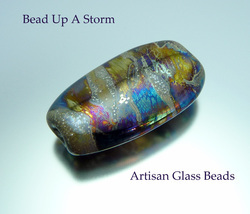 I will be adding a Gallery of beads to this site and hope to expand it in the near future. The button below will take you to the beads I have for sale online. I welcome commissions if you'd like me to make something special for you. Please feel free to message me. You can reach me on Facebook, read more about me on my blog, and follow my occasional tweets on Twitter.